On June 30 Angie Peltier joined the University of Minnesota as an Extension educator focusing on crops. 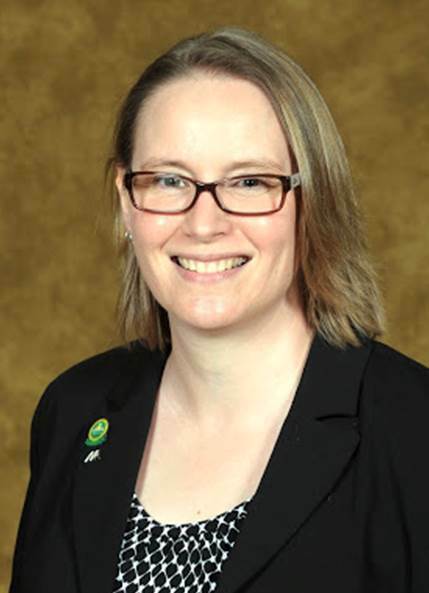 She is housed at the Northwestern Regional Extension Office in Crookston and her research and education efforts are to focus on corn and soybean. While Angie was born, raised and educated in Wisconsin, she most recently spent close to 6 years as a crops educator working for the University of Illinois Extension at the Northwestern Illinois Ag R&D Center in Monmouth. There her research focus was corn and soybean disease management. Angie looks forward to both meeting corn and soybean farmers and other agricultural professionals in Northwestern Minnesota and learning more about their most pressing research and educational needs.